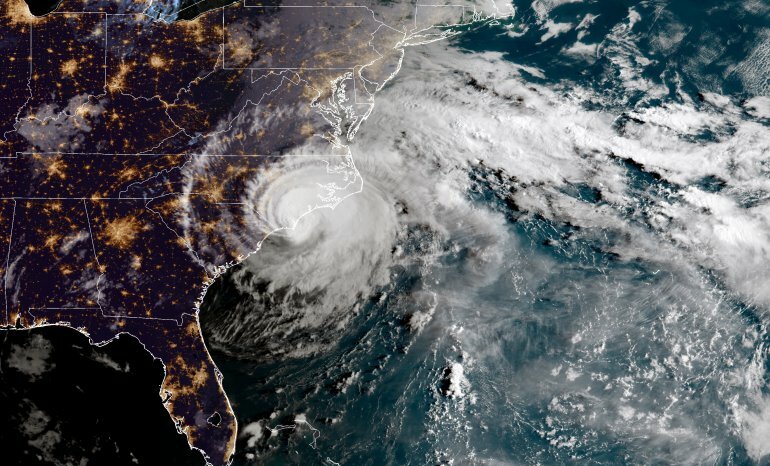 Eastern North Carolina – from the Outer Banks to the northern South Carolina coast – were inundated with over 10 trillion gallons of water brought about by Hurricane Florence earlier this month. The category 1 hurricane made landfall in Matchpoint’s hometown, Wilmington, NC, wreaking havoc on our coastal town. An average of 17.5 inches of rainfall fell across the region. Once the main thoroughfares into Wilmington became passable, thousands of evacuees made the anticipatory trek back to the coast this past week, unsure of the damage waiting to greet them at their front door. Fallen trees littered the city, with utility workers lining the horizon, fixing down power lines. Power outages impacted residents for multiple days and weeks. Neighborhoods were inundated with storm water and many homes have sustained damages or have been destroyed entirely. Despite the hardships that the city and region has faced due to the hurricane, the community feels united. Utility workers, city officials, and community volunteers have mobilized, working around the clock to get the town back to a new normal and to ensure residents in need receive the necessary resources during this time. It’s amazing to see how a community comes together in the face of communal adversity. We are all better off when working together. Many neighborhoods and inland communities still need assistance. Find out ways you can help in the hurricane relief efforts here.